Hold onto your swim fins, ladies and gentlemen! 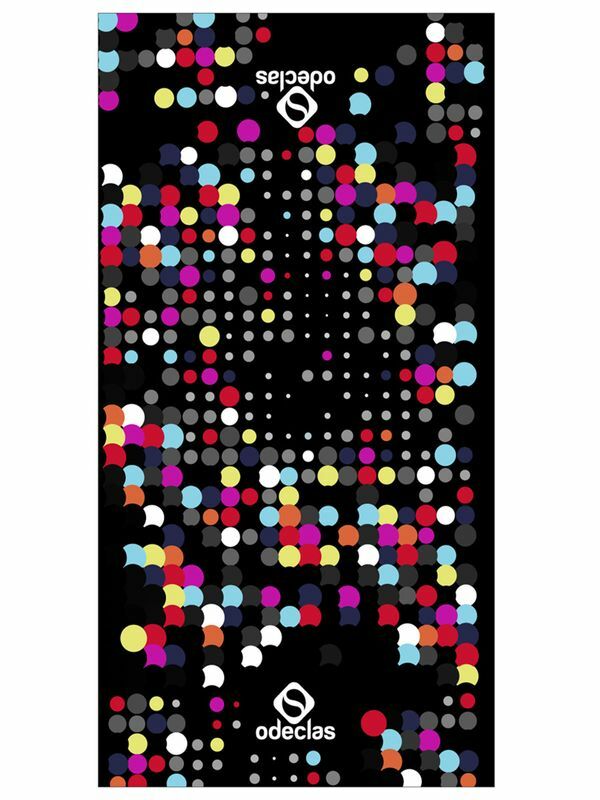 You have never seen a towel as fun and funky as the Odeclas Mat Swim Towel. With bold polka dots of every size in rich shades of ruby, amethyst, slate grey, sky blue, navy, tangerine, and magnolia white, this colourful towel will put a spring in your step every time you wrap up in it. Like everything designed by Spanish Olympian Javiera Salcedo, the Odeclas Mat Swim Towel is the perfect blend of form and function. With a cotton side to keep you warm and a microfibre side to keep you dry, this towel is a swimmer’s dream come true! Shipping Note: This item is classified as bulky or heavy and will be shipped by regular post. The Odeclas brand was created by Spanish Olympic swimmer, Javiera Salcedo. Odeclas (Javieras surname "Salcedo" spelt backwards) was created after combining her training in fashion design and years of professional swimming. Javiera ensures all Odeclas products are made from innovative materials and oversees the production process from start to finish ensuring all products are manufactured to the highest standard.